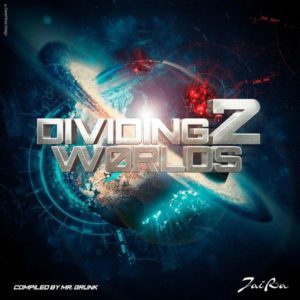 Dividing 2 World is the second compilation released by Jaira Records and compiled by Mr. Grunk. This time Grunk found some psy-tech artists to propel you into the universe and back to earth again. It starts in space where galactic sounds meet and dives deep into the bottom of the forest where the frequencies twist you around the trees. Get ready for a journey like no other as you travel through a hypnotic dream world.